O you who believe! when the call is made for prayer on Friday (yawmi-l-jumu'a), then hasten to the remembrance of Allah and leave off trading; that is better for you, if you know. In accordance to the commandment of the Qur'an, congregational prayer is offered at the mid-day of every Friday and this is a practice since the time of the Prophet who established it. Just as the Jews took Saturday as their Holy Day and Christians community Sunday, for Muslims Friday is established as the Holy Day. Christ said, "The last shall be the first." Thus among the religious communities derived from Abraham, Jews, Christian and Muslims, the first day in a week is observed by the last community. Muhammad Mustafa said, "We are the last [of the people to come] but the first on the Day of Resurrection. They received their books (Torah, Bible) before us and we got ours (Qur'an) after them. This day was obligatory upon them, but they differed concerning it, and Allah guided us. The people, therefore, follow us: the Jews tomorrow and the Christians the day after tomorrow." It was a practice of the Prophet that he always made a sermon known as Khutbah on Friday before Jumuah prayer. This practice is still followed faithfully and from every mosque in the world during Fridays you may hear a sermon delivered, touching upon religious matters such as faith, duty, piety and related subjects of the world and hereafter. Khutbah delivered by Islamic thinkers and scholars are asset to humanity for these khutbah or sermon carries essential wisdom, guidance, admonition, counseling and much needed solace for the heart and souls. Now a days, thanks to the internet, one can listen to the recorded (and in some cases live) khutbah of many scholars via the world wide web. This is a blessing in this troubled time when people have less and less time for what is real and valuable. 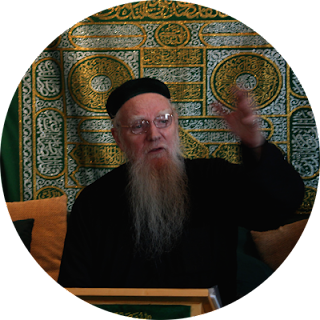 Shaykh Abdullah Nooruddeen Durkee, inheritor of Rasulullah (s), scholar, author, translator and the khalifah (successor) for North America of the Shadhdhuli School, as part of his sacred responsibility serves as a khateeb and an imam for various nearby Muslim communities on the Eastern coast of United States. Currently he has his Zawiya (Sufi corner) at Islamic Study Center, Charlottesville, Virginia which is also the location of The Green Mountain School, the third school Shaykh Nooruddeen has founded. He lives in Green Mountain Farm outside of Charlottesville, Virginia. Shaykh Nooruddeen Durkee has been giving sermons / Friday Khutba regularly in the East Coast of United States for more than a decade. The uniqueness of his sermons are that they are delivered from a perspective which is very relevant to the current state of affairs, address the need of the time, with a balanced approach towards the Shariah as well as Haqiqah, both the outer and inner. A good number of his Khutbah are digitally recorded and made available to his site, Green Mountain School. You may browse, download and listen to the khutbah from here. May Allah grant blessings to his life and work, protect and preserve his health. Ameen. Ahmad and Ibn Majah. Al-Iraqi says its chain is hasan.